Bigotry is not an opinion but a crime, just as hate speech is not freedom of expression but evil. Racism directed against someone of a different race, based on the belief that one’s own race is superior, has throughout history led to miseries, exploitations, and violence. Our Western societies have been facing this troubling social disease, which exposes itself in different forms—and sometimes aggressively. One of the main manifestation of racism is racial profiling, an exercise which has been witnessed often on the streets of our cities and that civic organizations have expressed strong objections to. Many victims or their families have come forward to raise official complaints to authorities in order to illustrate prejudices and stereotyping in the hopes that justice will be served. Recently, there has been a sharp escalation of hate speech directed against certain citizens based on their religious and cultural backgrounds. Hate speech has become the platform of many of the political parties and some elected officials prior to and during general elections. The unfortunate reality is that the scapegoat of this bigotry has always been the same citizens that continue to experience moral onslaughts that turn increasingly vicious. As a matter of fact, hate speech, which tends to be practiced by the right and far right groups and individuals, is not limited to this crowd only. We have heard statements by many politicians and officials, who appear to represent moderate mainstream political and social spectrums, compete with their peers by using forms of hate speech against a segment of their citizens based on their culture and faith. Hate speech has become an election tool. The ultimate concern is that as time goes on, the general societal conscious becomes more tolerant to racial intolerance. This will lead to social tension and the absence of security and harmony within the population. It is clear that there is a lack of political will to deeply address and tackle xenophobia at its root cause. It is clear that there is a lack of political will to deeply address and tackle xenophobia at its root cause. There is a very real need for elected officials, governmental agencies and the civic society to work hand in hand and come up with a clear vision, objectives and an action plan to confront this destructive philosophy. The necessity, for all democratic constitutions, is to place restraints and illuminate the danger of the misuse of freedom of speech, behind which xenophobes practice their animosity. 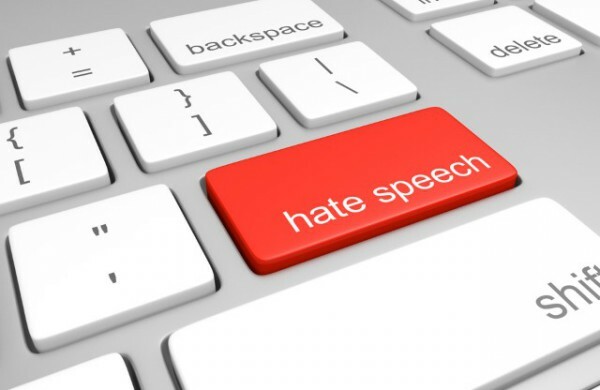 Hate speech should not be allowed to incite moral or physical violence against other people based on their ideological, political, religious, racial and sexual orientation backgrounds. Bigotry is not an opinion but a crime, just as hate speech is not freedom of expression but evil. 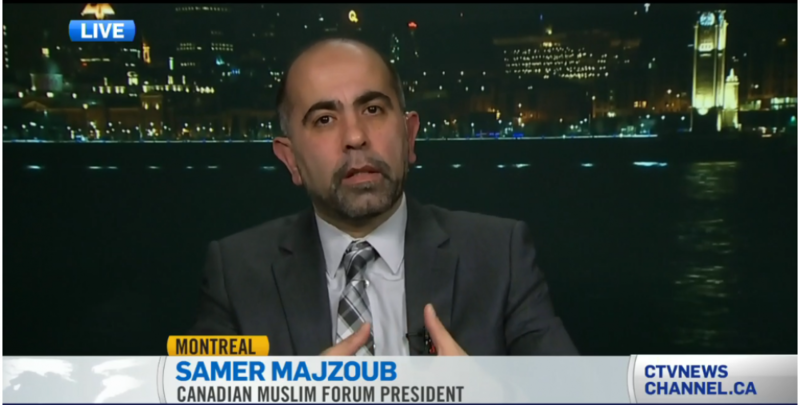 This entry was posted in article and tagged (FMC-CMF), anti-Islam, bigotry, Canada Muslims, Canadian Muslim Forum, discrimination, Forum Musulman Canadien, hate speech, Islamphobia, Quebec Muslims, Racial profiling, Samer Majzoub by samermajzoub. Bookmark the permalink.